Orbit Earth Expo launched in Texas in 2009 and has been amazing students all over the state ever since! Students journey into space to create and experience the cycles, systems and relationships between the earth, moon and sun using our 16’ Earth model and 4’ moon. 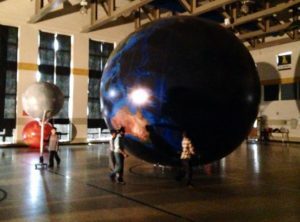 Students interact with the inflatable representations in a darkened gymnasium with a light to represent the sun, manipulating the models to experience eclipses, seasonal/lunar cycles, creation of winds, day/night cycles, tides, rotation vs revolution, physical characteristics of the earth, moon and sun, gravity, order of the planets, seasons and more! 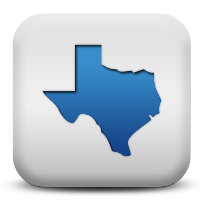 Program takes place in a darkened gymnasium and correlates to each grade levels’ Texas Essential Knowledge and Skills (TEKS) K-8th grade. There are different age-appropriate programs for each grade level. Orb, along with his Sun George and his appropriately scaled moon, travel to schools with their teacher friend, Lydia White. Lydia graduated with a BA from the University of North Texas and received her teaching certiﬁcate from St. Mary’s University. While she was pursuing her teaching certiﬁcation, she worked for SeaWorld in the Education department as their Sleepover Manager. Lydia taught third grade for nine years for Northside Independent School District in San Antonio, Texas.